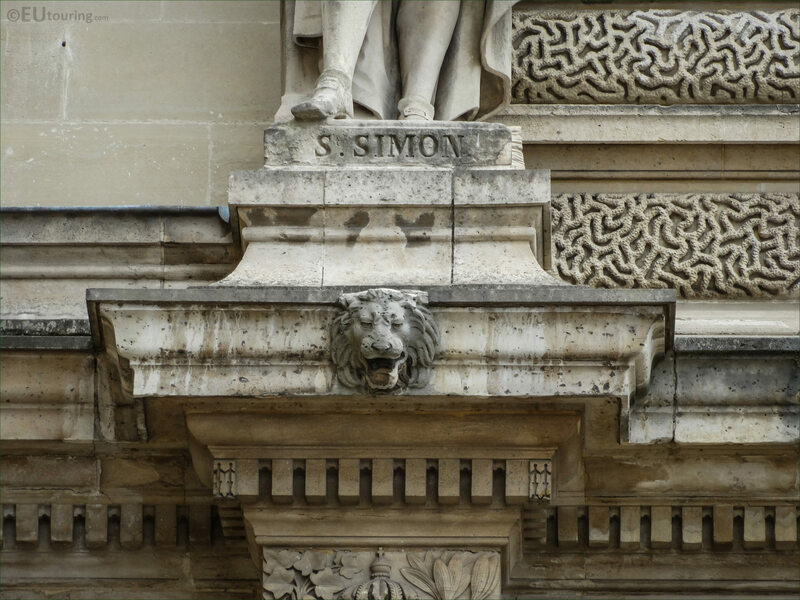 While we were at the Musee du Louvre in the 1st Arrondissement of Paris, we took these high definition photos showing a statue of Saint Simon, which was sculpted by Pierre Hebert. 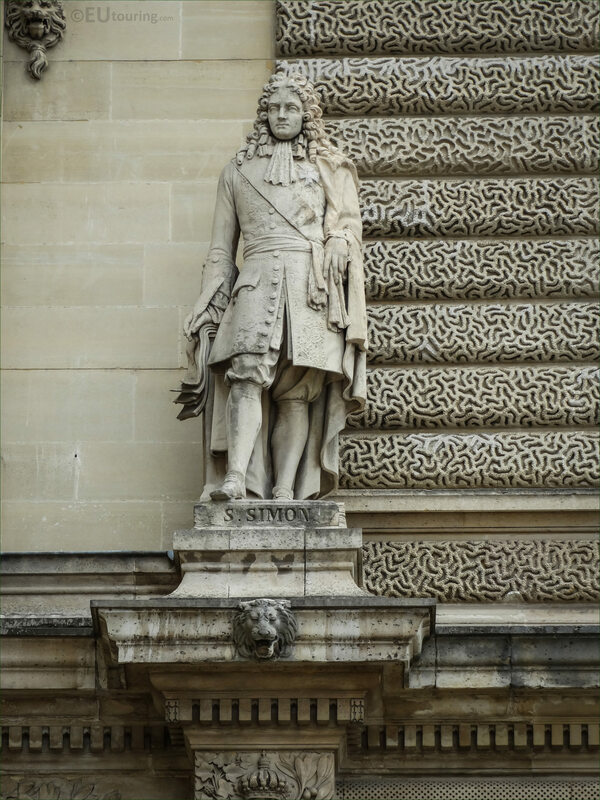 This first HD photo shows a statue of Saint Simon, which is located on the balustrade of the first level on the Aile Henri IV, and when you are looking at this facade of the former Palais du Louvre from the courtyard called the Cour Napoleon, you will see this positioned second from the left hand side. 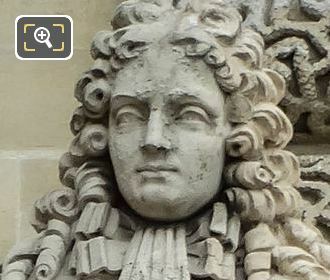 Here you can see a close up photograph showing the detailing that went into producing this stone statue, which was by Pierre Hebert, known as Pierre Hebert the Elder, who was born in 1804 and initially became a mason's assistant, starting to repair busts and different sculptures, before entering the Ecole des Beaux Arts and starting to present his own works at the Salons for French artists. 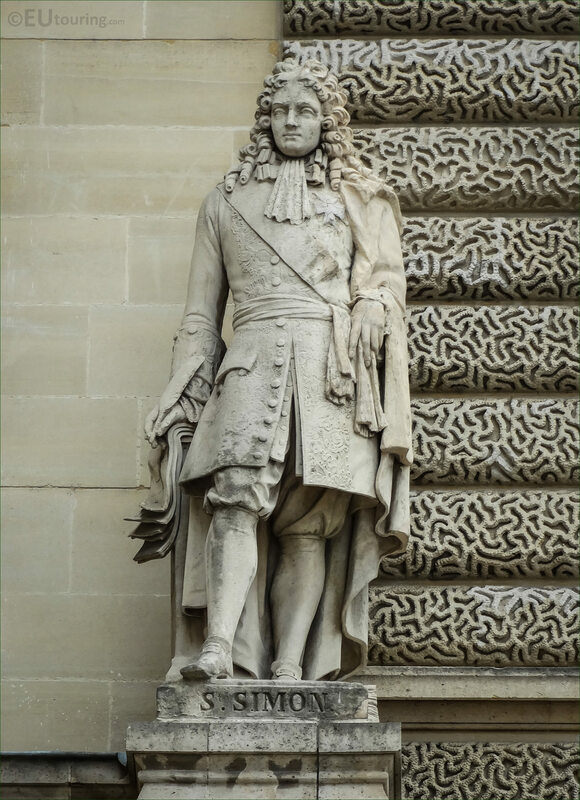 Pierre Hebert went on to receive commissions for several portrait statues and monuments that can be found in Paris at tourist attractions such as the Eglise Saint-Etienne-du-Mont and within the courtyard of the Faculty of Medicine, along with three for The Louvre including this one. Now this photograph shows the name of Saint Simon inscribed on the base of the stone statue, but unfortunately, we have been unable to figure out what Saint Simon this relates to, as some places state that it is Claude Charles de Rouvroy de Saint Simon born in 1695 and died in 1760, yet he was a bishop and the clothes do not seem to match. 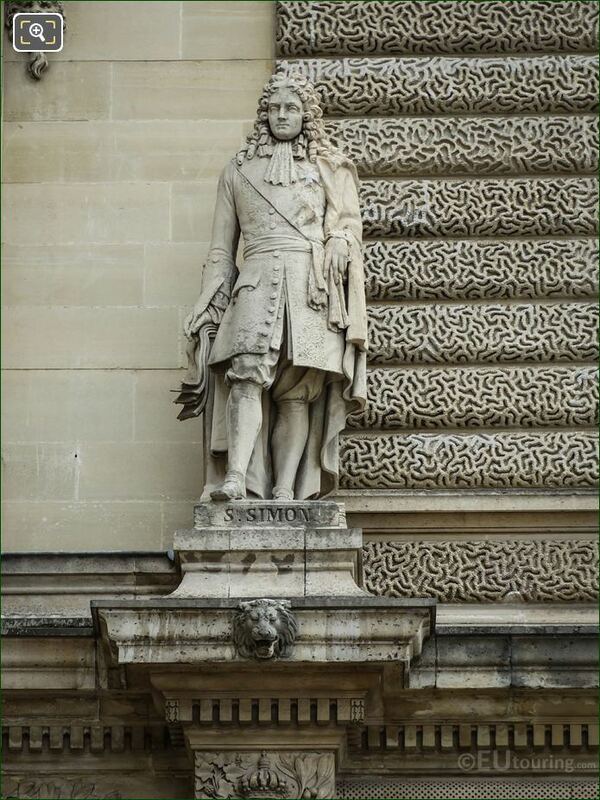 Other places we have found state that this depicts Claude de Rouvroy, Duc de Saint-Simon who was a French soldier and courtier who was born in 1607 and died in 1693, however, you also have Louis de Rouvroy, Duc de Saint-Simon, born in 1675 and died 1755 who was a Peer of France, memorialist and a courtier. But on top of that you also have with Claude Henri de Rouvroy, Comte de Saint-Simon who was a French economic and political theorist, plus a businessman who was born in 1760 and died in 1825, and in the above three different names, the clothes do seem to make more sense, so if you have any facts on this statue, then please do let us know and we can update the article.